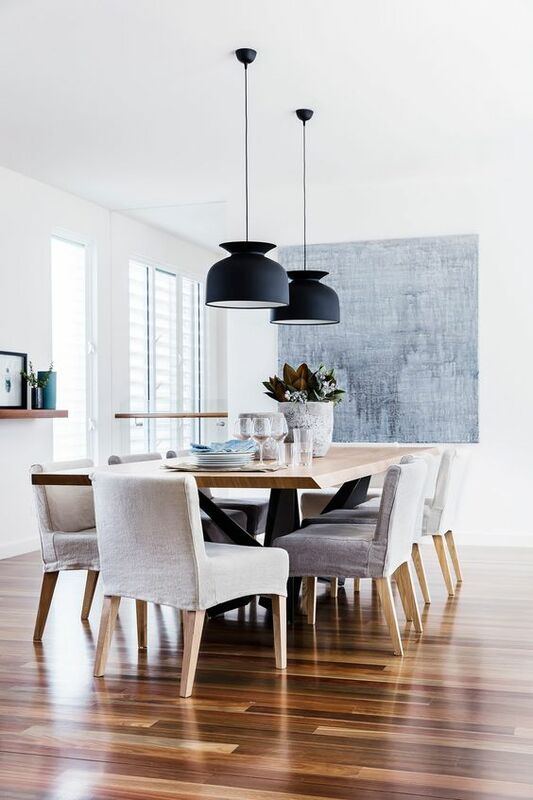 The first step you should take before diving into any interior decorating project (even just an update) is to ask yourself these four important questions. Why are you redecorating? Who will use the room? What will the room be used for? When will it be used? Ignoring these questions means you run the risk of ending up with a room that doesn't work and doesn't really make you happy. Grab a pad and pencil or your smartphone and make two lists "Keeping" and "Replacing" If you want to replace some of the furniture, make a plan to either sell or give it away. If you decide to keep some pieces, but you feel they no longer work in the space, make use of them in other rooms in your home. You will need to know the dimensions of the room when it comes time to purchase new furniture. You don't want to end up with furniture that is too big or awkwardly to small. 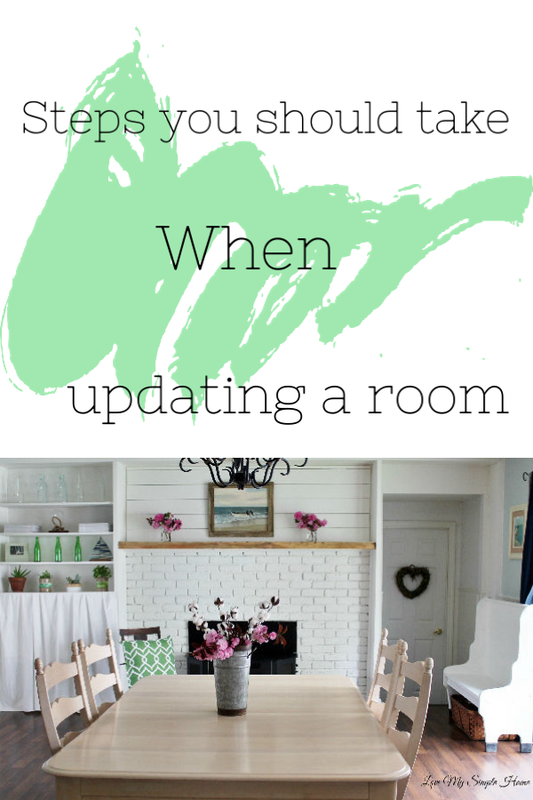 If you don't already have a Pinterest account set one up and create a board of the room you will be updating. Search for pins of that room and pin your favorite pictures to your board. Here is mine if you want to take a peek. If you're not interested in Pinterest you can always look through home decor magazines. Contemporary, Traditional, Mid-Century Modern, Farmhouse, Coastal, Boho Chic, Eclectic, Shabby Chic, Scandinavian, Gothic/Dramatic, Minimal. 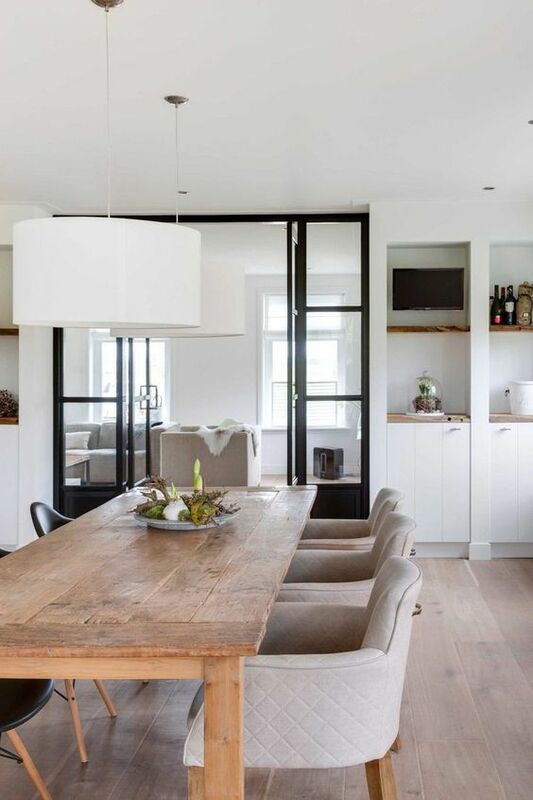 Articulating your style is the key to creating a room that really reflects it! If you are not sure what your style is, here is a fun and quick Design Style Quiz for you to take. My design style is coastal clean and uncluttered. I like neutrals with splashes of blue and green and I tend toward thrift and antique furniture as well as new modern pieces. 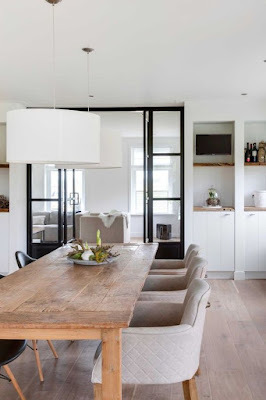 Mixing different style furniture pieces together makes for an interesting space and less cookie cutter. 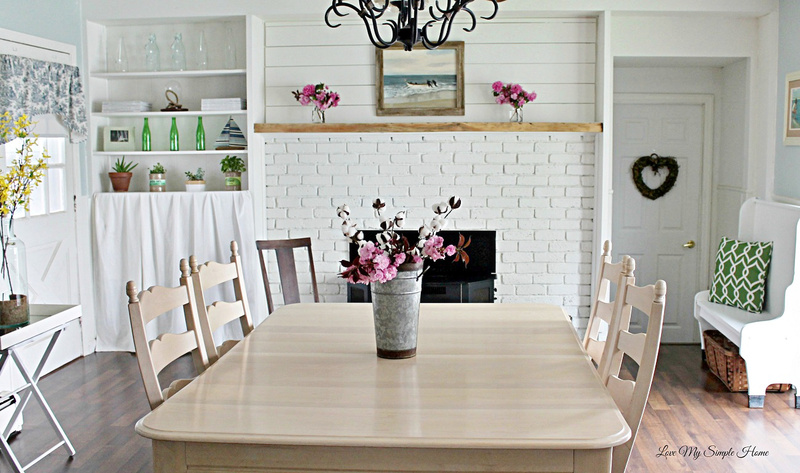 Ok friends, I'm going to stop here, for now, I hope these steps help you to create a space that you will really love, make you happy and want to use. Before you go take a look at what I am working on in my own home. 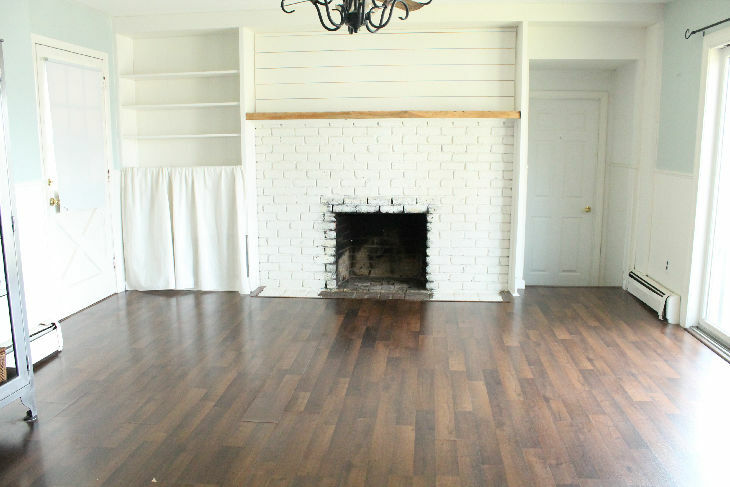 I am updating our dining room and starting with a blank slate. Our dining room is the hub of our home it's open to the kitchen and functions as a dining room as well as an entryway and gateway to the backyard. I plan on purchasing new furniture as well as using what I have. I sold our large dining set and hope to replace it with something smaller. This is what the dining room looked like before I sold the dining set. 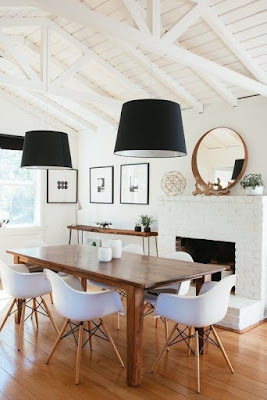 Here's my plan for this space: Purchase new dining chairs and a smaller table, replace the antique stainless steel cabinet with a sideboard, add an area rug, replace the outdated ceiling fan, which you can't see because I always crop it out of the picture. Purchase wall sconces and purchase a new fireplace door. I'll be back with more updates and hopefully a furnished room. 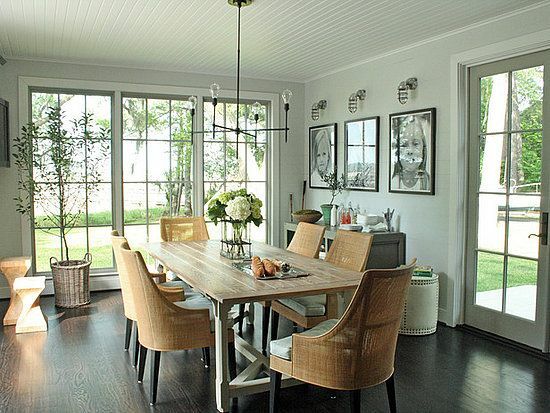 Meanwhile, I'll just dream of these gorgeous dining rooms that I found on Pinterest.